Living Area 2130 Sq. ft. Historic Shepherd Neighborhood!! You will fall in love w/ the character & charm of this historic home. The Living & Dining room are one very spacious open room. Original fireplace in front living room is amazing! Large kitchen w/ lots of space to make it your own. 2nd living could also be a master suite w/ fireplace, full bathroom, & large walk-in closet. One other bedroom as very spacious w/ sitting area. 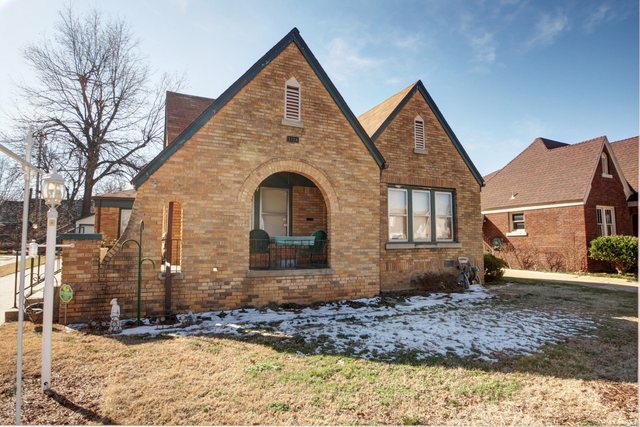 Covered front porch w/ arch brick work.